Courtesy of Royalty Real Estate Services. Absolute Magic in 85254! This meticulously maintained home has been updated to include high end appliances, knotty alder cabinetry, plantation shutters, plank tile flooring, designer paint and even a new roof. Outdoor living is not to be ignored in this beautiful home. The sparkling pebble sheen diving pool is complimented by the extended covered patio, spa and low maintenance turf because you’d rather have a party than mow a lawn. The main home shows the pride of ownership and the attached guest suite gives your guests privacy and a separate access to both front and back yards. Wiring is in place to make the kitchenette into a full kitchen and the perfect in-law apartment! Close to Kierland, Paradise Valley Mall & Great Schools make this the perfect neighborhood! Approximate size: 15203.00 sq. ft. 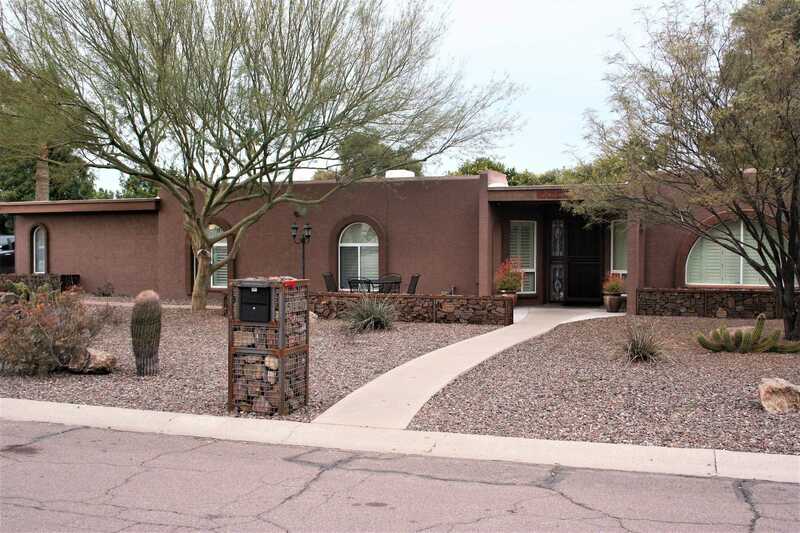 Please, send me more information on this property: MLS# 5877893 – $645,999 – 5440 E Dahlia Drive, Scottsdale, AZ 85254. I would like to schedule a private showing for this property: MLS# 5877893 – $645,999 – 5440 E Dahlia Drive, Scottsdale, AZ 85254.